Social media marketing in Nigeria is simply selling a product or a service to millions on Nigerians on different social media sites. This might look simply but it requires a lot of hard and smart work to really make money online with social media marketing in Nigeria. Today, I’ll show you how to make more profit in social media. You can start today and start making money online in some days ahead. In short, with social media marketing, you will get more customers, sales, brands exposure, influence etc if this is done right. This is possible because humans are created as a social being and we would buy a product or service based on a friend’s recommendation on social media sites. If you are a business owner or an individual, you can make money online with social media marketing in Nigeria. 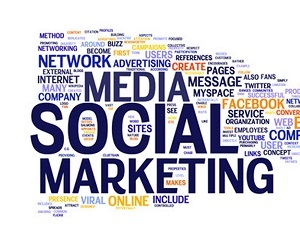 To make money online in Nigeria with social media marketing, you have to be a good social media marketer. This you can be as a business owner or an individual. For the purpose of this post, I’ll concentrate on being an individual social media marketer. This is because people on social media sites prefers to relate with indiduals than a business. If you have the reach, start marketing yourself to different businesses online and offline. Package yourself and get the deals to promote these businesses. If you don’t have the reach yet, start working on yourself. Get good followings on different social media sites, increase your influence, increase your engagement (not sith those silly jokes and gossips). I enjoyed this post. Nice! I also believe that Social Media Marketers should also develop the skill of creating Content that engages their client’s target audience.